A new trend is on the horizon. Concerned about the dangers of climate change and the violation of fundamental rights held by citizens, courts are requiring governments to take adequate actions to limit greenhouse gas emissions. On June 23rd in the U.S. and June 24th, 2015 in the Netherlands, news broke simultaneously on opposites sides of the world. Courageous judges in two courtrooms, separated by 9 time zones and more than 8000 km, ordered governments to step up their game to protect their citizens from the dangerous impacts of climate change. These cases were united by the game-changing work of youth and elders, alongside their attorneys, and the foremost climate experts of the world seeking intergenerational justice and a liveable planet for future generations. The Hague District Court rendered the unprecedented verdict that the Dutch State must take more action to reduce the greenhouse gas emissions in the Netherlands. Just hours before, a U.S. judge also issued a landmark ruling in a climate change case brought by eight youth, ruling that State of Washington must reconsider the youth’s proposed rule on carbon dioxide emissions. Meanwhile, a similar case as adjudicated in the Netherlands has recently been brought against the Belgian government before the District Court in Brussels on behalf of 9,000 concerned citizens. “Frustrated by an historical lack of political will to respond adequately to the increasingly urgent and dire acceleration of global warming, eight youth petitioners submitted a petition for rulemaking,” wrote Judge Hollis Hill in her June 23, 2015 order. After the Washington State agency rejected the youth’s petition, Seattle-based Judge Hill ordered the State to reconsider their petition in light of current climate science. The youth, between 9 and 14 years old, had petitioned the State agency to create a rule mandating reductions of greenhouse gas emissions based on the most current climate science, which says that 350 ppm of carbon dioxide is the maximum level for a safe climate system. While not disputing the science or the urgency of the crisis, the State chose to delay taking action until after the upcoming international climate conference set for December in Paris. The youth had argued the State had a duty to reduce its emissions more quickly because the youth’s and future generations’ constitutional rights to essential public trust resources were being threatened. Judge Hill ordered the State to report back to the court by July 8, 2015 on whether it will agree to more stringent emission reduction rules. Judge Hill’s order relied on an expert declaration by NASA climate scientist Dr. Pushker Kharecha on the current scientific understanding of how to ensure a stable climate for our children and future generations. By ordering the State to consider the current best science for climate stability when deciding upon emission reductions, Judge Hill made it clear that the State must not only identify what emission reductions are required for climate stability based on current scientific understanding, but must also make those emission reductions a reality, something legislators and presidents the world over have, thus far, failed to achieve. The youth were represented by Andrea Rodgers, an attorney with Western Environmental Law Center, with coordination and support from Our Children’s Trust, the Oregon-based nonprofit spearheading and supporting similar cases in the U.S. and internationally. Our Children’s Trust is currently supporting lawyers representing youth plaintiffs in several U.S. states, and a new federal case against the U.S. government is planned for filing later this month. In the parallel case, the Dutch court agreed with the Urgenda Foundation (representing multi-generations of citizens) that the severity and scope of the climate problem make it necessary for the Dutch government to reduce the Dutch greenhouse gas emissions at a much higher pace. In its ruling, the court imposed a 25% reduction of greenhouse gas emissions by 2020 upon the government, ruling that the current Dutch climate policies that aim for only a 16% reduction in 2020 are unlawful. The Dutch court considered that the nature and extent of the damage ensuing from climate change, the knowledge and foreseeability of this damage, and the chance that hazardous climate change will occur are such that the Dutch government has a serious duty of care to take measures to prevent it. According to the court it is an established fact that the Dutch government has the constitutional power to control the collective Dutch emissions level and that it indeed controls it. By signing the UN climate treaty, the State once again expressly accepted its responsibility for the national emission level and in this context accepted the obligation to reduce emissions as much as needed to prevent dangerous climate change. The court found that the State should not hide behind the argument that the solution to the global climate problem does not depend solely on Dutch efforts. In the words of the court: Dutch per capita emissions are one of the highest in the world and any reduction of emissions contributes to the prevention of dangerous climate change. Also, the court ruled that there is enough evidence to assume a sufficient causal link between the Dutch greenhouse gas emissions, global climate change, and the effects (now and in the future) on the Dutch living climate. The Dutch court explained that it had not entered the political domain for it is the judiciary’s duty to provide legal protection to citizens against acts or omissions of the government that pose a realistic and grave threat. The Dutch decision marks the first time human rights were used as a legal basis to protect citizens against climate change. The case filed against the Belgian federal government was brought by the association Klimaatzaak (Climate Case Belgium). Klimaatzaak is demanding all mitigation measures necessary to ensure the prevention of a warming of the earth that is dangerous to humanity. Last month was their first day in court to agree on the planning and the process of the proceedings. Although Belgium is at the forefront of setting ambitious climate targets, the lawsuit asks the Belgian government to back up their words with actions, and to accelerate the transition to a prosperous, fossil-free society, so that future generations of Belgians will be able to live in safety and prosperity. 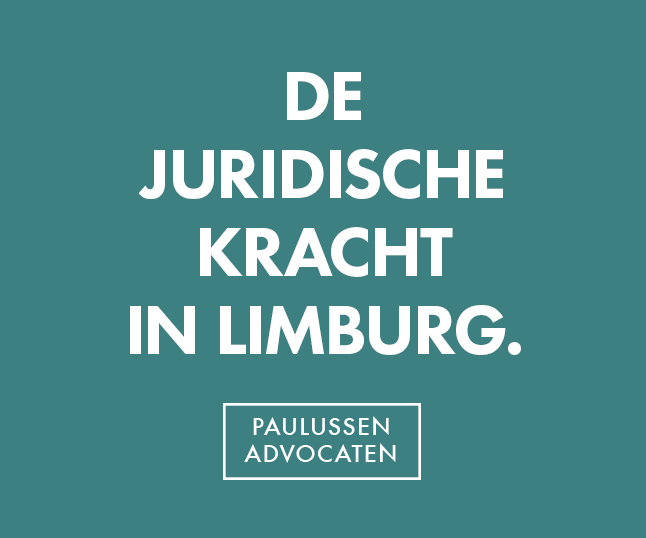 Klimaatzaak hopes the Belgian court in Brussels will rule in line with the valuable legal precedents in the Netherlands and Washington, and will follow as the third stone setting in motion what could become an avalanche of successful climate change court cases against governments worldwide. In the absence of sufficient political will to tackle the climate problem, courts could prevent and protect society from climate change related damages, casualties, and infringements of human and civil rights. Indeed, they have already started. Roger Cox is an attorney, legal counsel for Urgenda and Klimaatzaak and author of the book Revolution Justified, that provided the inspirational impetus for the Dutch and Belgian climate cases. Julia Olson is the founder, Executive Director & Chief Legal Counsel of Our Children’s Trust, a nonprofit organization based in the United States advocating for governments to adopt and implement enforceable science-based Climate Recovery Plans with annual emissions reductions to return to an atmospheric carbon dioxide concentration of 350 ppm, and an adjunct instructor at the University of Oregon School of Law. Serge de Gheldere is a co-founder of Klimaatzaak, the nonprofit initiating legal proceedings against the governments of Flanders, Wallonia, Brussels, and the Belgian federal government demanding all measures necessary to ensure that Belgium makes the contribution needed to prevent a warming of the earth that is dangerous to humanity. He is also the founder and CEO of Futureproofed.